After 12 years of success as a popular full-service beachfront restaurant and bar on AIA, Oceans 234 launched an extensive $1 million transformation in high gear with structural changes, layout reorientation, a new sense of arrival and signage, an enhanced interior flow with increased indoor seating, a private oceanfront function space and an engraved paver path leading from entrance to beachfront boardwalk. According to owner Danielle Rosse, construction on the extensive re-design – with anticipated completion in mid-October – is substantially updating the look of the almost 6,000-square-foot, 220-seat restaurant to match the service and food standards it has grown to provide, create continuity to the overall brand, make more space usable and comfortable. a vibrant, fresh look and feel. The transformation — done in rich woods and subtle hues with tropical touches of turquoise, tangerine and natural greenery — will deliver contemporary casual resort-style environs with the exterior of building more distinguished and recognizable. PR has been retained to share the brand story and its signature features, advantages and benefits. patio to open up the outside — without interrupting the space — to yield full views of the beach, ocean and pier. Current bathroom accommodations are being relocated to create more flexibility in seating capacity inside with a new private area that will accommodate up to 40 guests. the Nano doors are closed, the system’s floor to ceiling windows allow the breathtaking oceanfront view to be seen by those dining or socializing at the bar. Upon arrival, diners will be welcomed into a new re-oriented reception area that transitions into a more inviting, cohesive interior design and flow. Various configurations of seating in the reception/open bar area allow for more guest interaction with intimate seating areas, high tops and a long banquette table for one large party or shared by multiple groupings. Rosse invites guests to follow the construction transformation through time-lapsed video featured on www.Oceans234.com and its Facebook page and encourages guests to visit often for updates on grand re-opening plans, its new culinary and cocktail menus created to debut and progress on its 234 One Step ‘community giveback’ program to benefit three South Florida nonprofit organizations: the Deerfield Beach Chamber of Commerce community projects, Boys and Girls Clubs of Broward County and Broward Health Foundation’s ‘KIDS Campaign’. Rosse said that throughout the renovations and until the opportunities are sold out, the Oceans234 team will continue to collect donations and engraving info for its 234 One Step brick paver program created to raise a total of $50,000 to be shared equally between the nonprofits. “Those interested in taking an ‘indelible’ place on the engraved pathway should act fast,” noted Rosse who reported that since its launch in June more than 80% of the bricks have already been purchased. Those interested in supporting these vital community missions, can do so by visiting oceans234.com/onestep or call 954-428-2539, ext 3. 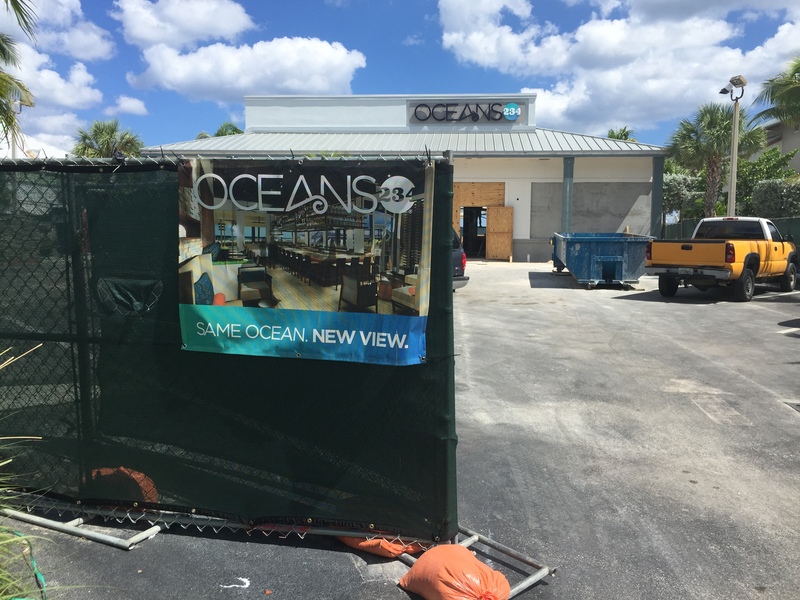 Currently under an extensive transformation construction with reopening anticipated for October 2015, Oceans 234 is a full-service beachfront restaurant and bar with indoor and outdoor seating overlooking the Atlantic Ocean, located just steps away from the Deerfield Pier at 234 North Ocean Blvd. Serving up the freshest caught seafood and flavorful land entrees, the award-winning Oceans 234 is renowned for its creative and traditional culinary selections, picturesque oceanfront views, relaxed atmosphere, and superior service. Oceans 234’s menu by Executive Chef Victor Franco features fresh caught seafood varieties, a sushi bar, tender steaks, poultry, entrée salads, handmade dessert menu, a full liquor bar and more. The restaurant serves lunch and dinner seven days a week and brunch on Sundays. 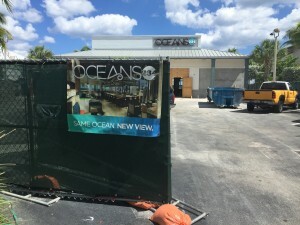 For more information on its re-opening date and related events, and private business, holiday and celebratory events, visit http://www.oceans234.com; for reservations call 954-428-2539. New Oceans234 signage installed showing signs of what’s to come at the #NEW234.